This year, there's a new player in the postseason. 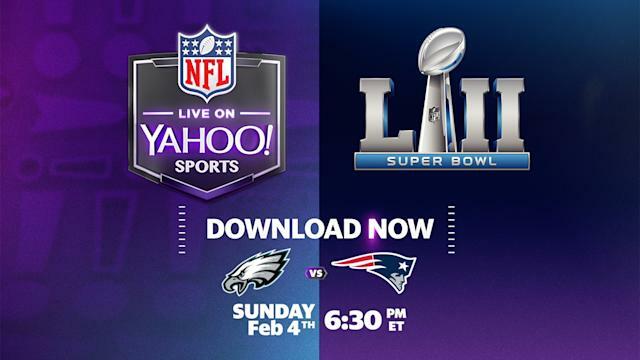 Watch Super Bowl LII - live on the Yahoo Sports mobile app. ST. PAUL, Minn. – There isn’t a hint of the Super Bowl down here on Selby Avenue. There are no festive plazas, no banners on the light posts, no NFL gear in storefronts. At the Golden Thyme café, locals tap on laptops and sip mochas as the new mayor walks in. Melvin Carter is the first African-American elected to his position, only a few weeks into his job, and he spots a city worker named John Thompson seated in the corner. He knows “JT,” as a lot of people do around here. JT was one of Philando Castile’s close friends. Castile spent his days around the corner from here at J.J. Hill Montessori School, where he worked as a nutrition services supervisor. He knew the children so well that he often caught the lactose intolerant kids before they accidentally sipped a milk box. Then in July of 2016, he and his girlfriend, Diamond Reynolds, and her daughter were returning from a trip to the grocery store when a police officer radioed in and said he intended to pull their car over. “The two occupants just look like people that were involved in a robbery,” the officer reportedly said . After the officer approached the car, Castile informed him he had a firearm. The policeman replied, “Don’t reach for it then.” Castile said he wasn’t pulling out the gun and Reynolds said the same. The officer raised his voice and said, “Don’t pull it out!” He fired seven shots. “I wasn’t reaching for it,” is the last thing Castile said. NFL players do not protest during the national anthem as much anymore, and social issues haven’t been a major theme of this week’s Super Bowl lead-up. It feels in some ways as if the story has passed. Thompson wasn’t much into activism before his friend died. He’s a machinist who works for the city, visiting schools to fix everything from freezers to A/C units. Only a day before Castile was pulled over, Thompson was complaining to a friend about the coverage of the Sterling shooting, saying no one wants to see these “snuff movies” and everyone knows the cop will get acquitted anyway. Then there was a Facebook video of Philando. Thompson, 44, is a tall (about 6-foot-2), jovial dad; he’s a regular married man who likes playing video games. Or, he used to like video games. Castile’s death shook him. He thought back to the last time he talked to “Phil,” which was at a Fourth of July party. Thompson chided him for working at the school over the summer even though he didn’t need to do so in order to get his full salary. Castile told him he did it because “I love the kids.” JT wasn’t buying it. “I love the kids!” Philando insisted with a laugh. “I love everybody.” That was the last time they spoke. Thompson still replays that final conversation in his mind. He thinks Philando is still telling him to “love everybody” because he can’t anymore. But his mission kept building. Thompson felt Castile was being turned into a menace, even as second graders at J.J. Hill were still asking why their favorite kitchen worker was no longer coming to school. Who would tell Philando’s story if not JT? So he started going to rallies. He went to City Council meetings. He tried to figure out how policy was made, how local government worked. The police chiefs of both Twin Cities met him and communicated with him. Sometimes there were arguments. Sometimes agreements. A burgeoning respect for the police tempered his anger. When the new mayor sees him at the coffee shop on this Tuesday, he comes over and Thompson offers his card. The mayor nods and they embrace. When the officer who shot Castile was acquitted, Thompson’s son wailed, “I hate the police!” The father admonished him even as he himself cried. There has to be high ground, he thought. There has to be progress through peace. But he also wondered about the pace of change. “I can’t have my son 15 years from now asking for some of the same things MLK was asking for, man,” he says. So he keeps coming to meetings, keeps wearing his “Fight For Justice” cap. He’ll likely attend a rally here on Super Bowl Sunday. At the very least, he can remind people about Castile the person, Castile the grownup who the children loved and miss. At the most, he can do a lot more. On a cold January day when so much attention was drawn to the football party elsewhere in town, the new mayor was here in this coffee shop, listening to a machinist with a sudden calling.